The town of Topsail Beach (also known as “Tops’l” to the locals) is the smallest of three beach communities, perched the southern end of Topsail Island. Halfway between the Crystal Coast and downtown Wilmington, Topsail once attracted treasure hunters seeking Blackbeard’s bounty. Today, fishermen, visitors, and long-term residents alike flock to Topsail for its lasting natural beauty. Conservation is a top priority for the town, and you’ll find no high-rises there. With just 500 permanent residents, Topsail provides a getaway for tourists through the dog days of summer, and a sleepy hideout for natives when cooler weather comes around. Looking for tile in Topsail Beach for your cottage or rental home? Here, we provide our suggestions for some of the most common residences in this family-friendly coastal town. Read on to find the best Topsail Beach tile for your needs. For a warm and woodsy vibe, keep it simple in your Topsail cottage with wood-look tiles. Whereas hardwoods can warp and even grow mold and mildew in such a hot and humid climate, wood-look tiles maintain their shape and resist water, bacteria, and stains. They’re durable, affordable, and highly customizable, so they’re sure to match the aesthetic and even wood grain you’re already working with. Whether you’re opening a beachy antique shop, ice cream parlor, quaint cafe, or luxury spa, it helps to have high-quality tile. For Topsail Beach tile that’s no-nonsense, cost-effective, and appealing to the eye, go for subway tile. These tiles provide a clean and simple look, you can install them floor to ceiling, and they’re super durable (if they can handle the subway, they can surely handle your clients!). What’s more, they’re available in multiple colors if you’d prefer a more bright and beachy style. Beach-goers don’t head for Topsail because they want the typical tourist’s vacation. Rather, they’re looking for a more authentic, coastal experience. 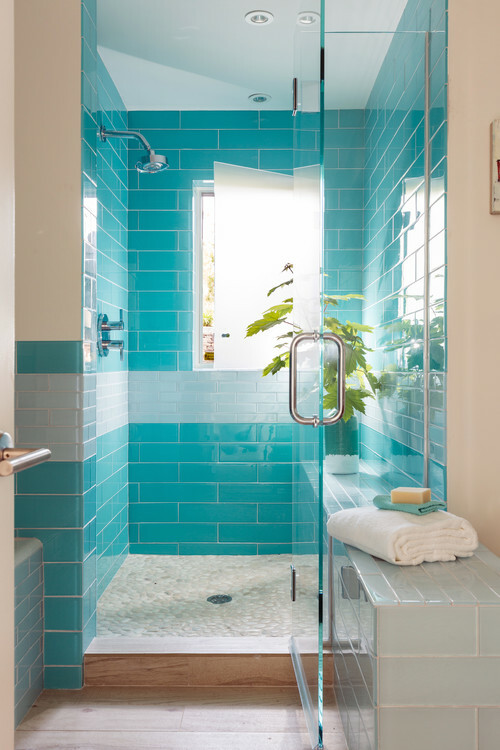 Keeping this in mind, differentiate your rental with natural-looking pebble tile in the shower (as a bonus, it’s ultra slip-proof), a touch of reflective glass tiles along the walls, or even a turquoise fish-scale shower space. Finish the floors with wood-look tiles for a stylish, rustic space. So you’ve found your dream home on Topsail, but it’s in need of some new tile. What to do? 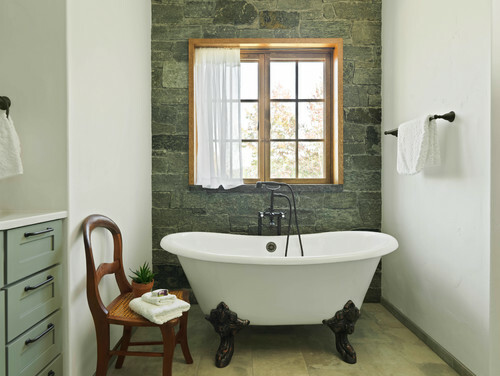 We recommend stone tiles. They’re eco-friendly, naturally varied in color and pattern, and timeless in style — all in all, a perfect fit for Topsail Beach. Just make sure you ask for the most durable, chip-free options, such as slate tile. Want More Options for Topsail Beach Tile? 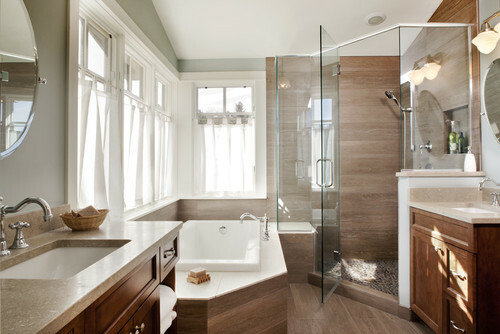 If we haven’t covered what you’re looking for, give us a call or come by our showroom at Crystal Bath & Shower Company in nearby Wilmington, NC. We’ll help you find the perfect tile for your Topsail Beach project.